New Generation Power Systems holds pride in being new in thinking of power systems for the future. The management team has developed good governance through robust systems and standards of best practices. Our aim is to provide our customers with the highest of quality machines with the ability of networking capacity. At all times we take a pragmatic and proactive approach in offering solutions to our customers. We maintain a fleet of rental generation equipment that enables us to offer a high degree of reliability and efficiency. New Generation Power Systems aims to provide our customers with the most fuel efficient and environmentally safe and sound equipment. Our equipment for hire is maintained at the highest of standards with machines offered that meet quality rating in environmental concerns such as noise pollution, vibration and ground disturbance, and containment and control of chemical spills. Our equipment is of our design, where we have purpose-built into our design the flexibility to meet a wide range of applications and the toughness required for the harsh conditions faced throughout the W.A. regions. We have managed to perform on several projects and long term hires with very limited downtime. New Generation Power Systems prides itself in reliability and availability of our equipment; this is of the uppermost importance to us. New Generation Power Systems embraces the safety and health of all staff and considers this aspect as a driver of success and sustainability. Induction, orientation and training features heavily within the workplace for staff. Our Health and Safety policy and guidelines enable management to identify and work through risks in the workplace. 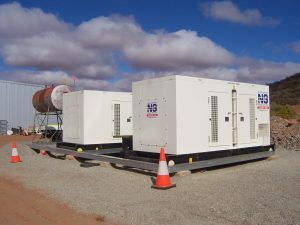 Our service personnel are highly trained and very experienced in the power generation and rental industry. We are confident we are able to diagnose and solve any on-site issue quickly and efficiently, and we have proven in the past this to be the case.